Abstract—In this work, we reported the molar heat capacities, CP, of aqueous solutions of the sterically hindered amines 2-amino-2-methyl-1, 3-propanediol (AMPD), and its aqueous ternaries containing piperazine (PZ) or lithium bromide (LiBr). Measurements were performed in the temperature range 303.15 K to 353.15 K and atmospheric pressure by heat flow differential scanning calorimetry. The excess molar heat capacities, CP E, of the binary solutions were determined, and the data were represented as function of temperature and composition using a Redlich-Kister-type equation. The CP of the ternary mixtures was correlated with temperature and amine concentration using the Sohnel and Novotny equation. Results showed that the calculated data agree very well with experimental CP values at average absolute deviation values of less than 0.2%. Index Terms—2-amino-2-methyl-1, 3-propanediol, molar heat capacity, redlich-kister equation, sohnel and novotny equation. R. W. Olivia is with the Department of Chemical Engineering of Chung Yuan Christian University, Chungli, Taiwan (e-mail: rheditawanda@yahoo.com). R. B. Leron is with the Mapua Institute of Technology, Manila, Philippines. She is currently conducting post-doctoral research studies at the Thermodynamics Research Laboratory at the Department of Chemical Engineering in Chung Yuan Christian University (e-mail: rbleron@mapua.edu.ph). 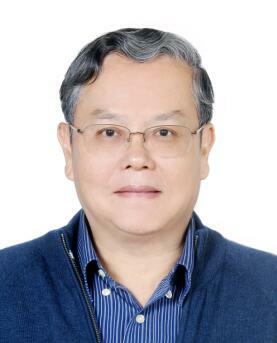 M. H. Li is with the Department of Chemical Engineering, and the current dean of the College of Engineering of Chung Yuan Christian University (e-mail: mhli@cycu.edu.tw). Cite:Rhedita Wanda Olivia, Rhoda B. Leron, and Meng-Hui Li, "Heat Capacities of Aqueous Ternary Mixtures of 2-Amino-2-Methyl-1, 3-Propanediol + Piperazine or Lithium Bromide," International Journal of Chemical Engineering and Applications vol. 5, no. 2 pp. 85-89, 2014.